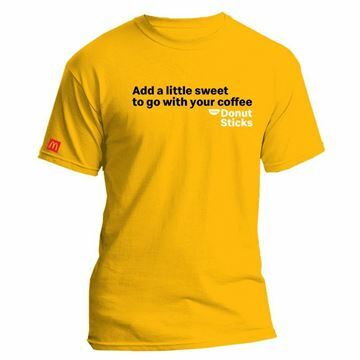 Front: Add a little sweet to go with your coffee. 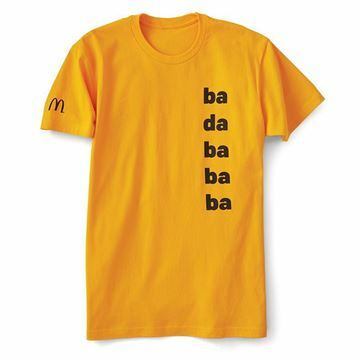 They’ll be singin’ what your wearin’! 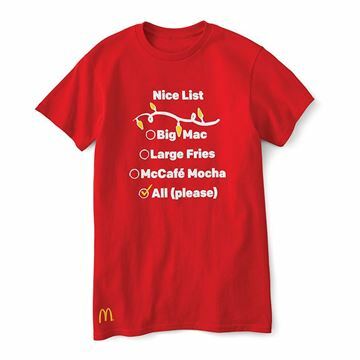 For 2XL, add $1.50. 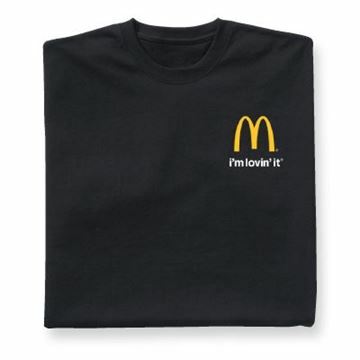 For 3XL, add $3.00. 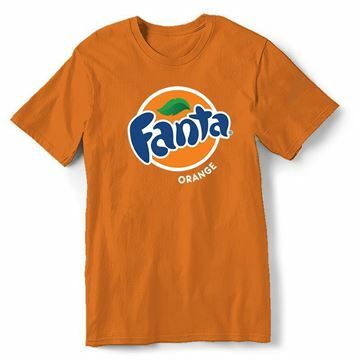 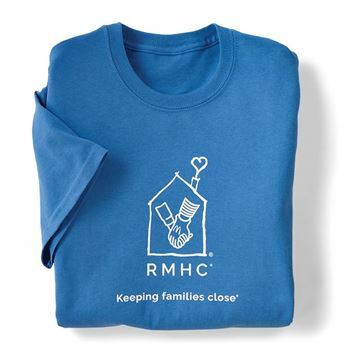 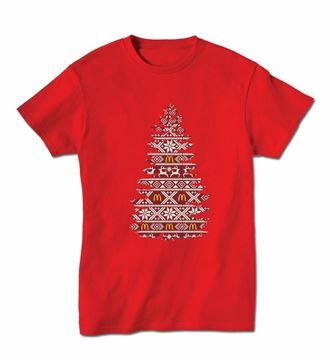 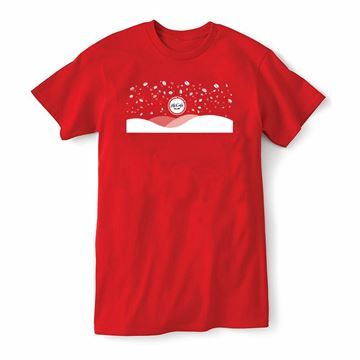 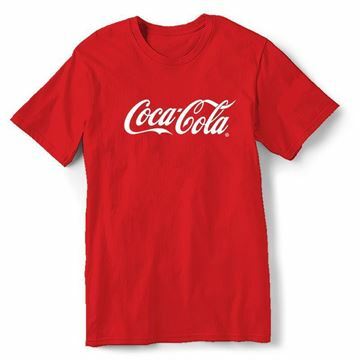 Traditional roomy fit and soft 100% cotton t-shirt. 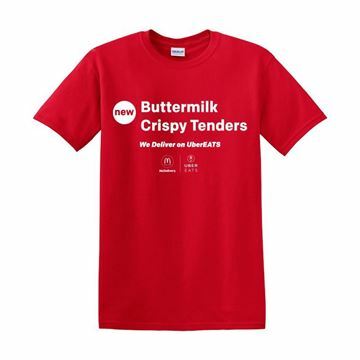 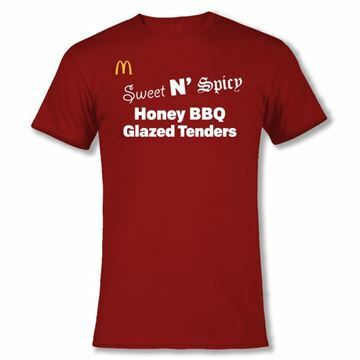 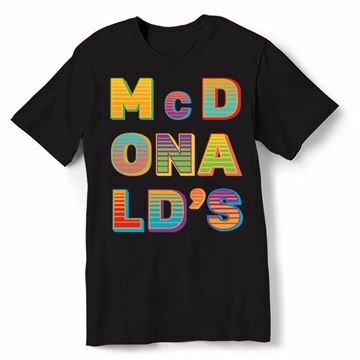 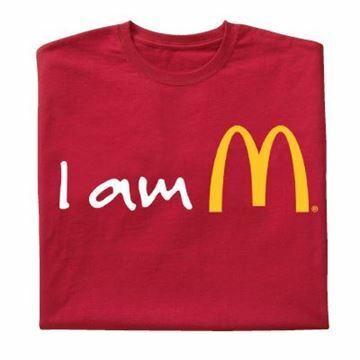 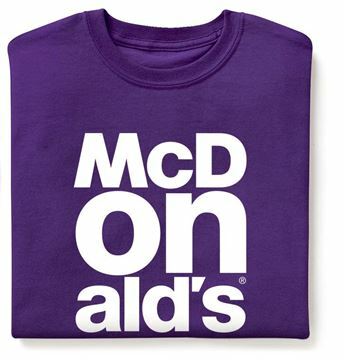 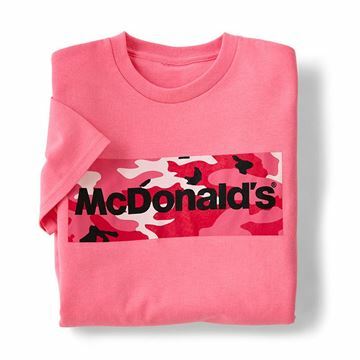 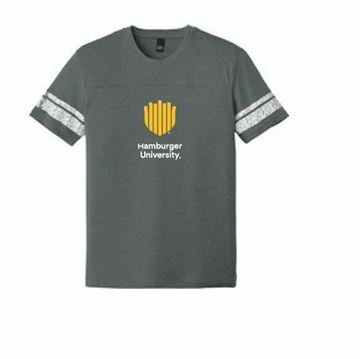 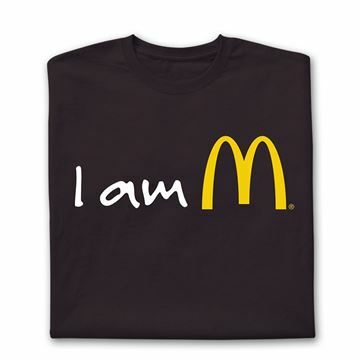 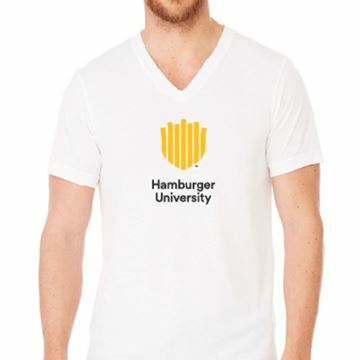 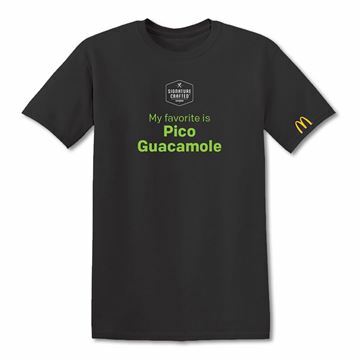 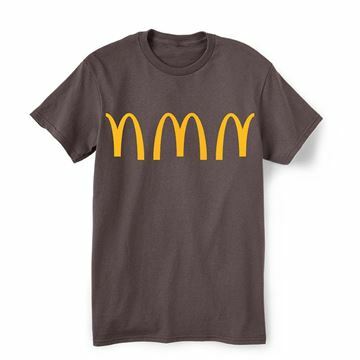 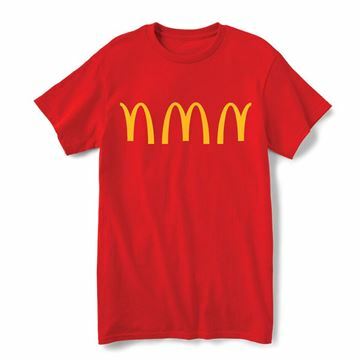 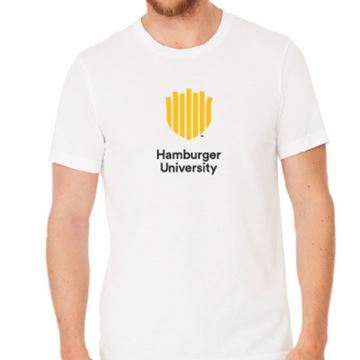 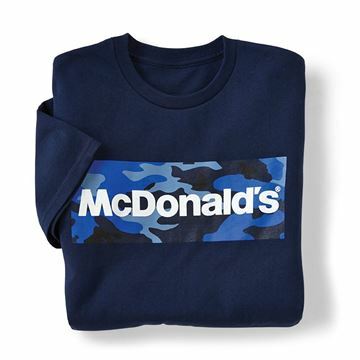 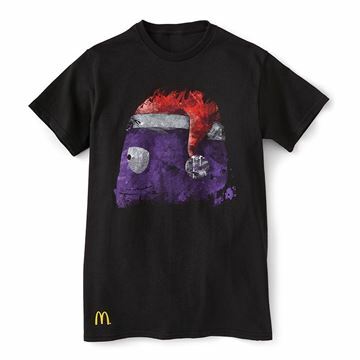 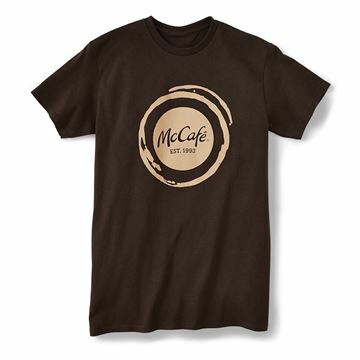 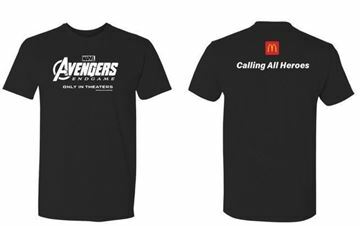 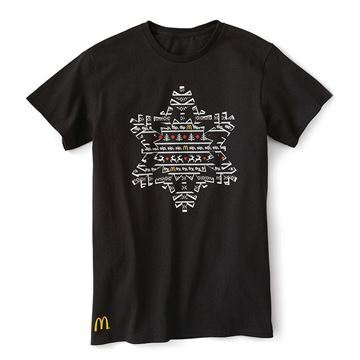 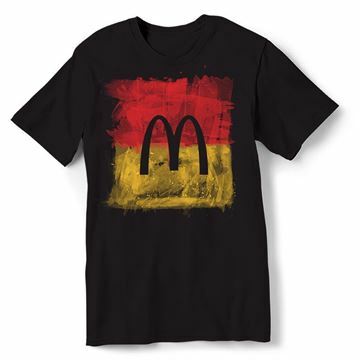 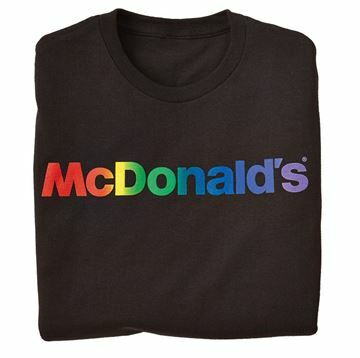 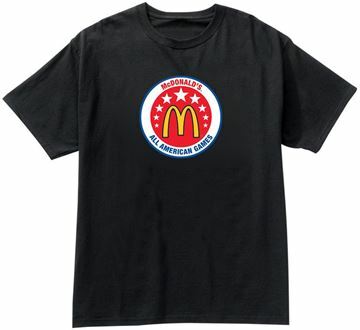 This item features the Brand Ambassador logo, "I am McDonald's." This is a great way to recognize your Brand Ambassadors and encourage other crew to get excited about the brand. Add $2.00 for 2XL. Add $3.00 for 3XL. 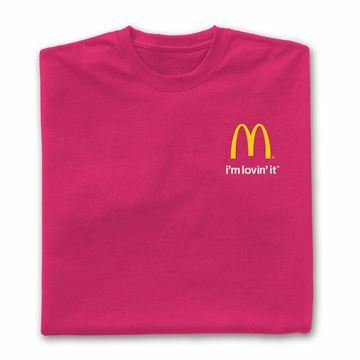 Add $4.00 for 4XL and $5.00 for 5XL. 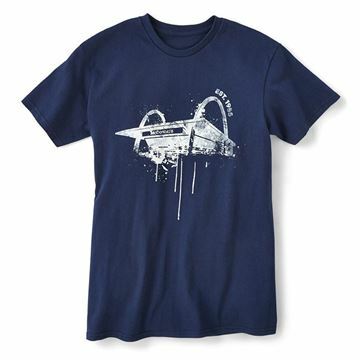 Distressed printed stripes on the sleeves give this tee a retro, game-day inspired look. 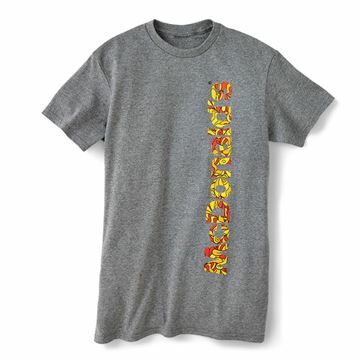 100% Pre-shrunk cotton short sleeve crew neck. 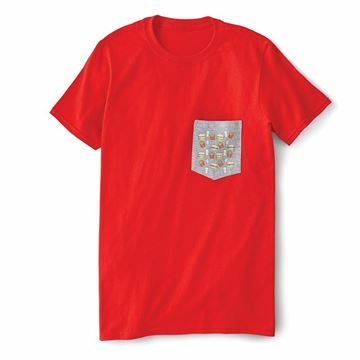 Add $2.00for 2XL. 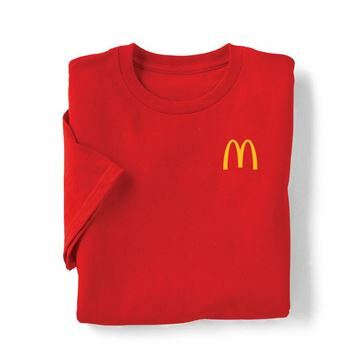 Add $3.00 for 3XL.